Early in September each year, Midday theater critic J. Wynn Rousuck skips her usual weekly review to look ahead at the upcoming theater season, and spotlight some of the interesting productions coming to the region's stages. Judy begins her 2018-19 Season Preview by noting the exciting news from Baltimore Center Stage, which last month announced its new artistic director, Stephanie Ybarra, currently Director of Special Artistic Projects at The Public Theater in New York City. She assumes her new role at Center Stage in October. 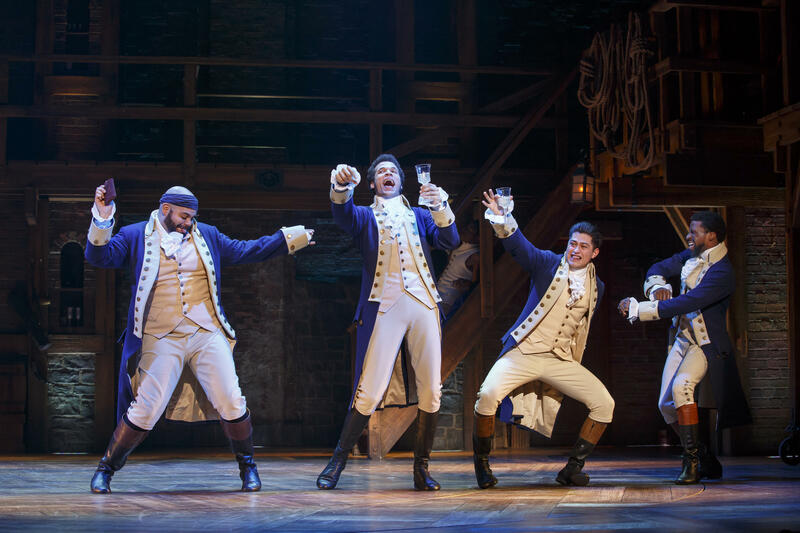 Of course, the big theater event coming up in Baltimore will be The Hippodrome's production of Hamilton, toward the end of the season next June. The historic theater will also be staging a revival in April of the Tony Award-winning musical Come From Away, based on the true story of how the people of Gander, Newfoundland, welcomed a crush of airline passengers stranded there by the 9/11 attacks. Among the many other Tony laureates getting revivals in Baltimore this season is the uplifting coming-out musical, Fun Home, now set for a January-February run at Center Stage.